Qiao Moyu, the President’s childhood friend, came to his door whilst holding a baby, but the man said he won’t take any responsibility since the child wasn’t his! As she stared at her adorable and proud little toddler, Qiao Moyu decided to take this chance to raise her son while having a fresh start in her acting career. As for the other problems, she’ll just take it easy! This novel is so cute, light and full of fluffiness! Can I ask for one, no, three kiss from Luo Luo? This is a gem! I am really enjoying this story so far. I won't spoil too mich but the Male Lead is not the President and that makes me soo happy. I can FINALLY root for the CP of both storylines to get together (both in spite and in excitement!) Definitely worth it. The only downside is the President (the douchebag =.=) sticks around like dog s*** on a shoe so far. *sigh*~~~ My heart has been healed. Although it's been a while since I used my brain to mtl novels but this one just wouldn't let me stop. I'm just a sucker for light and fluffy novel that gives me so much satisfaction when I finished reading it. - MC transmigrated to "the villainess"'s body and she's bound to fulfil the original's wish. No additional stuff like mission, reward or OOC ban. ... more>> - MC have Koi physique (bringing good luck), anyone that touch her would found $$$ lying on the ground, she could also bless objects and give blessings. But she never (couldn't?) bless herself. This novel is really really cute. What attracted me to read this novel is because of the baby, Luo luo. He’s so cute omg. From the summary, I thought that when the female main character transmigrated into the book it was way before she gave birth but in reality, she transmigrated and found herself in the second Male lead’s office. She took many precautions and from then try to help the original owner of the body to take revenge on the second Male lead and to become a film empress. The... more>> female lead, Mo yu, is a very happy go lucky person. She is very lucky so whenever people touch her they tend to pick up money. She loves children and that is why she showed a lot of care to Luo Luo after she transmigrated. And Luo Luo is the one who made her feel accepted in this world. In career wise, when she first started she didn’t really know how to act well and she tries her best and take criticism well. Her personality helped her to be more accepted in the crew. Even though, she is happy go lucky but she is not dumb nor very smart. She knows that some people want to try to harm her and she tackles it on. I feel that her personality is someone who is very happy go lucky and will only worry about things when it is faced. Our Male lead, the film emperor, is someone who is very cold to strangers but is a very meticulous person. I would say he has will power as well since he is persistent in chasing the female lead. The Male lead was attracted to the female lead because on the first drama they acted together the female lead suddenly passed her a box of cake and said that someone asked to passed to him. The female lead also wished him happy birthday and after seeing he is not willing to take the cake. She ate it happily in front of him. In actual fact, before this incident the female lead received this box by an assistant of the second Male lead’s sister in hoping to frame her so that the Male lead will be angry and flare at her as she knew that the male lead just received a call from his father. The Male lead got attracted to her interestingly because of how happily she ate and she slowly noticed her then. The relationship development in this story isn’t very detailed honestly. Throughout the novel, the Male lead helps the female lead whenever she is in need of help. From the start, the female lead was very stiff in front of him to slowly accepting him. The Male lead then got attracted to her actions and then finding her slightly familiar which later proved his suspicion. In actual fact, the writing style of this author isn’t very fantastic if compared to other authors like the author of Eight treasure Trousseau. It does not have a complicated and exciting plot like the novel, Princess Weiyang. But what I actually enjoyed the most is that it is not too complicated where problems don’t always come one after another. It is very sweet and heart warming. Eight chapters in and I think this novel is worth following. A strong female lead in the modern world who falls into a book's plot - but decides to make it work out her own way. So far, she's not super strong/smart/wise but she is willing to do the work to get a real job as an actress and take care of her novel character's son. Like, like and more like. Basically not too deep that a new author would make a mistake, not too light that it would not be fun to read. Read the whole thing. Really sweet story. The MC gets reincarnated in a a pretty nasty situation, but she's calm and rational enough to weave through it. The initial hurdles in the early chapters are pretty big and you get a nice feeling of accomplishment every time she overcomes them. She's really level-headed, like really. One of the defining characteristics of hers that makes her so damn adorable. The friction between her and the antagonist gets settled pretty easily though? The female antagonist also doesn't even talk to her that... more>> much which is kind of shame. Since they were apparently step sisters, it would've been fun to see more friction between them. The later chapters, you get the feeling that the MC pretty much breezes through all her problems. It's great and all, but then you get the feeling that yeah, the story's about done. A novel to heal your weary hearts. The MC is an 18 year old girl who transmigrated to the body of a 23 year old woman who has a child. Her baby is adorable in his baby-like ways, the cutest thing is the MC's playtime with him where her original age sometimes surfaces. As for the daddy... well I must say: don't get fooled by the title!!! 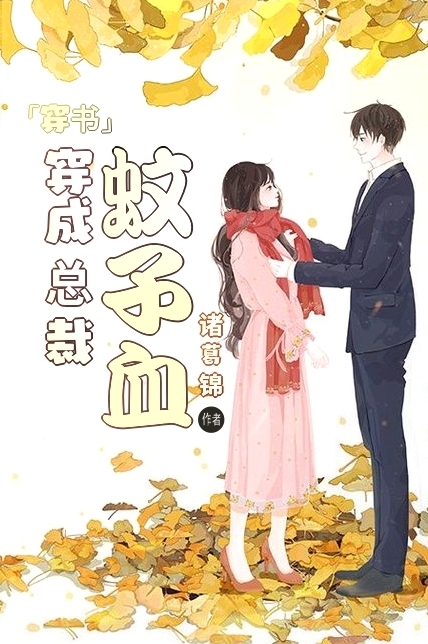 I had read this novel long before and all I will say is ~this novel has lots of fluffy moments especially the interactions of MC and her son~Luo Luo (MCs son) is JUST TOO CUTE!!! Very cute and fluffy story. There's minimal misunderstandings and although there is some face slapping moments, it's actually mild and not overdramatic.